2019: 2 races 20,000 metres completed. 2016: 1 race 8,045 metres completed. 2015: 1 race 20,000 metres completed. 2014: 1 race 15,000 metres completed. 2013: 12 races 113,904 metres completed. 2012: 12 races 111,629 metres completed. 2011: 21 races 219,924 metres completed. 2010: 12 races 150,362 metres completed. 2009: 19 races 212,535 metres completed. 2008: 27 races 297,394 metres completed. 2007: 24 races 227,623 metres completed. 2006: 15 races 121,315 metres completed. 2005: 20 races 173,315 metres completed. 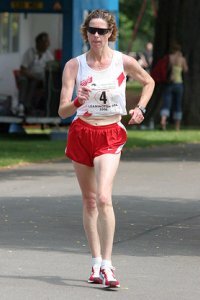 2004: 1 race 8,045 metres completed.